More on the Prepac Designer Wall Mounted Floating Hutch (Black) HSUW-0502-1 below. 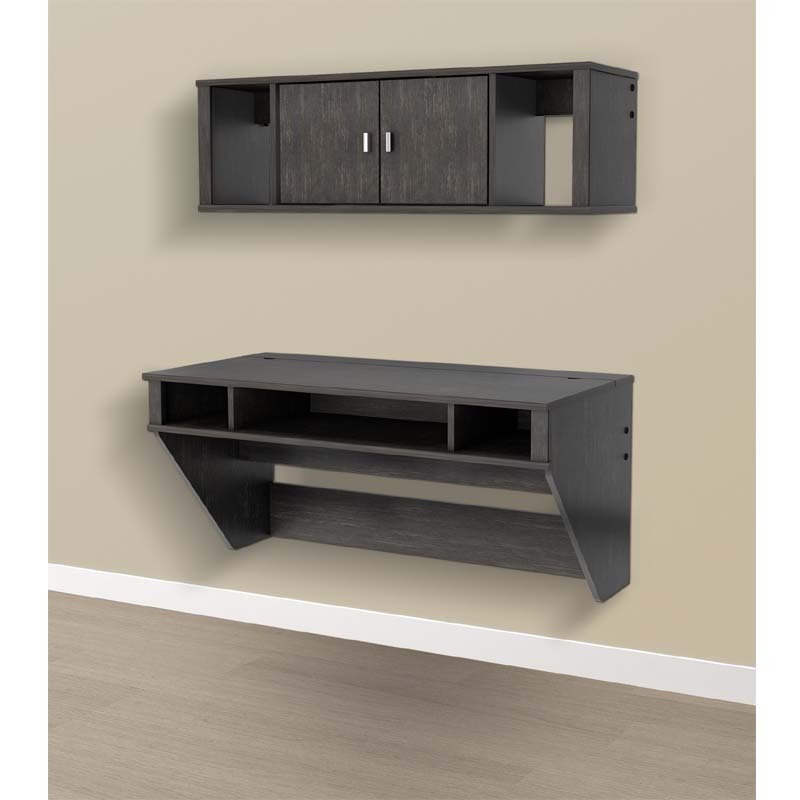 The Designer Floating Hutch is the perfect companion for Prepacs Designer Floating Desk or as a stand-alone storage solution. 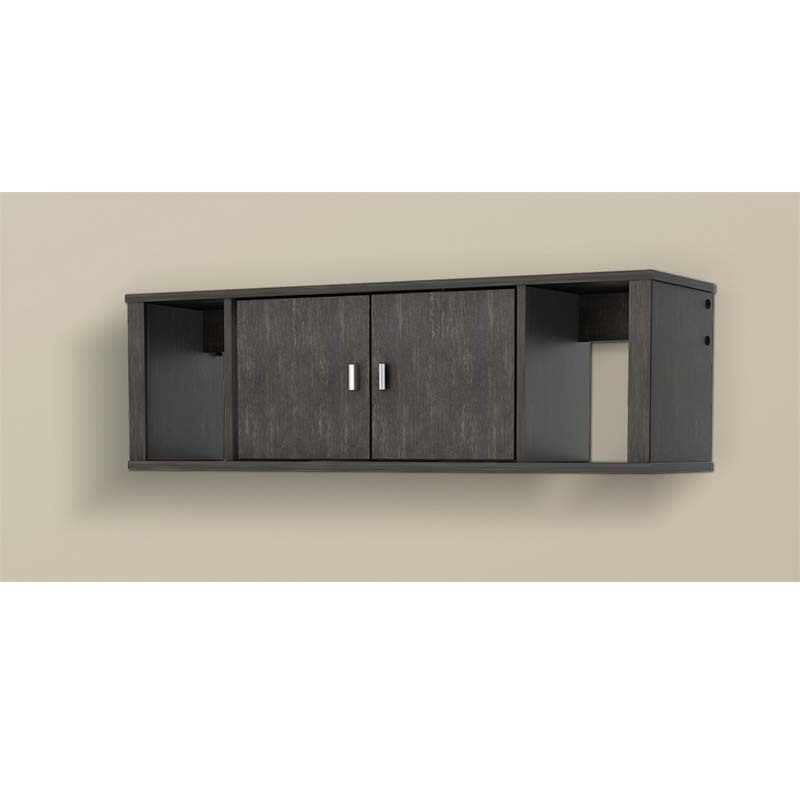 Perfectly suited for any home office, den, living room, kitchen or bedroom, this hutch provides functional storage without sacrificing valuable floor space. The two middle compartments have doors with solid metal chrome handles that keep items tastefully concealed while side compartments provide additional storage. Installation is a breeze with Prepacs hanging rail system. Proudly manufactured in North America using CARB-compliant, laminated composite wood. Ships Ready to Assemble, includes an instruction booklet for easy assembly and has a 5-year manufacturers limited warranty. 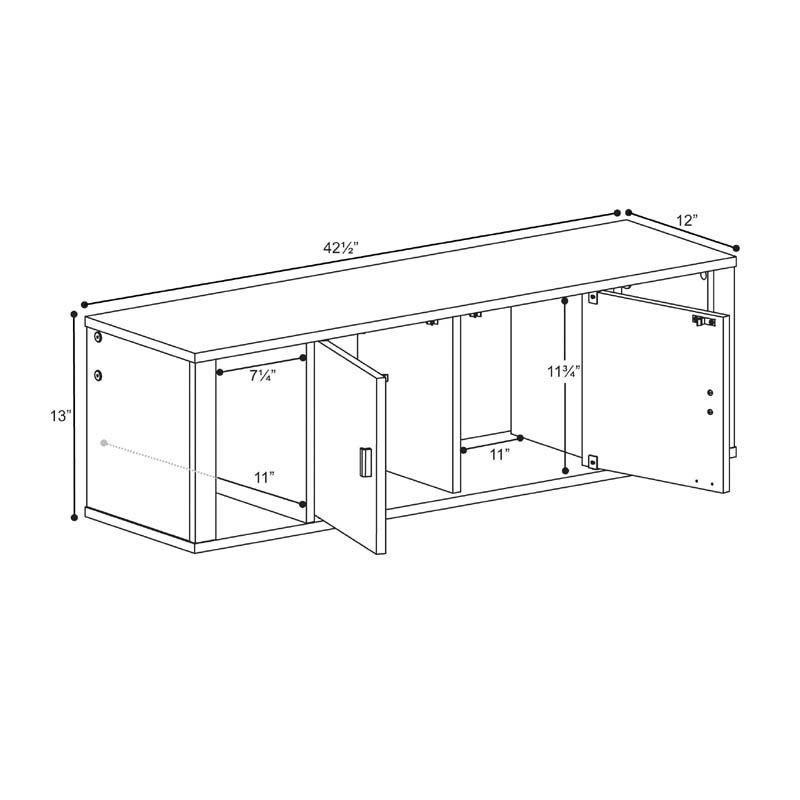 Matching wall desk shown in additional images is also available (sold separately). See related products below. Mount at any height with Prepac's metal hanging rail system. Two center doors with solid metal chrome handles. Two open side compartments provide additional storage. Maximum Weight Capacity for top shelf: 60 lbs. Composite particle-board/MDF (Medium Density Fiberboard) construction. Easy assembly, with all necessary hardware and instruction booklet included. Comes with Prepac's 5 year manufacturer's limited warranty. 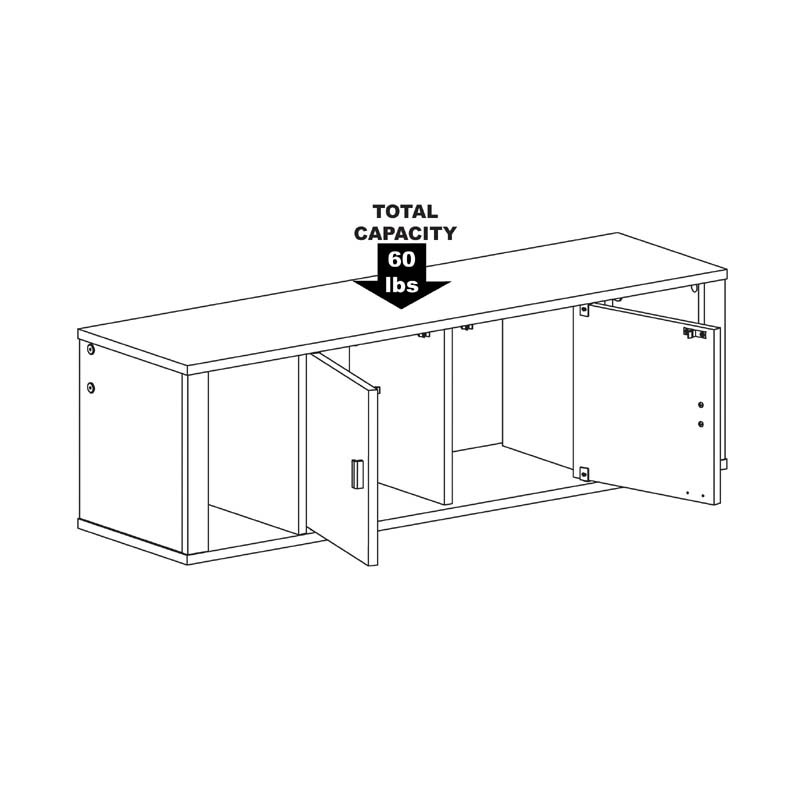 See "Related Products" below for the matching desk and for an white version of this hutch.